How often do we hear that phrase! Keeping it simple is not always easy. Processes get more complicated or communications break down. Keeping it simple is our customer service policy! It’s why our business continues to thrive. We make sure every question you ask, every package or envelope you send, every quote you request – is delivered promptly and efficiently. We know that trust and confidence in your mail services provider is critical. That’s one reason why we’ve completely revised our marketing materials – to make it simpler for you to find the information you need. 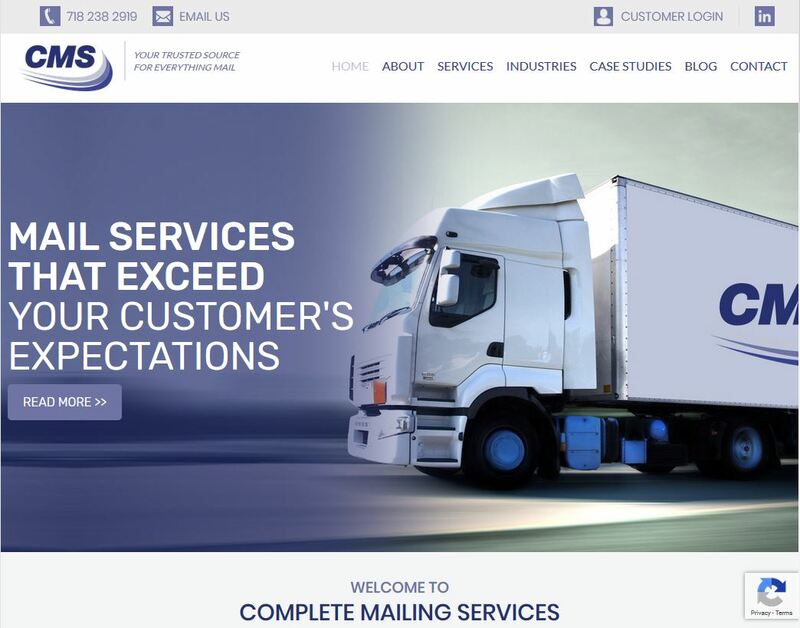 Introducing. . .Our New Website – www.completemailingservices.com A new website, a new URL and a navigation system that gives you the latest information quickly and easily. Here’s a quick overview of what’s available on our website. LEARN MORE. Here we take them to the blog to read the rest of this article, which is below. A complete run down of our services. Choose a service and we tell you what’s included, how we make things easier and we provide a link to download the information sheet for that service. An overview of the industries we serve. The ones we serve most frequently are listed, along with the solutions we provide and information on how we can help that industry in particular. Case studies. Not sure exactly how we can help you save time and money? Check out our case studies and learn how other businesses rely on us to deliver their materials. Need a refresher on the rate increases for 2018? Check out our blog. We always post the latest rates. Holiday reminders will be on our blog too, as well as great ideas for direct marketing. Keep in touch. If you know someone who should be getting our newsletter, they can sign up online! Just go to our home page at completemailingservices.com. There’s a quick form at the bottom of the page. And it’s secure! Our site has been designed to provide complete security for all viewers. Bookmark our site for more information on mailing services!